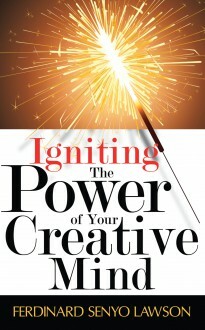 In this book, igniting the power of your creative mind, author seeks to remind you that if you are not happy about the current state of your personal and family life, then you have the power to change things for the better by engaging your creative mind to create your desired future. Your salary package is determined by the level of your creative mind used. The secret of your future lies in your creative mind you ignite to add value to people which then put you on the same platform with great and not mere men. It is through the power and love of God that you will be empowered to change your situations for the better. You will discover from this provoking book: 1 The power of Self Discovery 2 The power of using your talents and gifts to create your desired future 3 How to avoid Dream-Killers limiting your destiny 4 Rising above all limits, among others. Go and pursue, overtake and recover all your treasures and create your desired future as you begin to ignite the power of your creative mind.